*This establishment is now closed but you can still place orders via 0917-8919595. I seem to recall a saying stating that “The moon is made of green cheese” all the way back from my childhood days. I have no idea what it means. 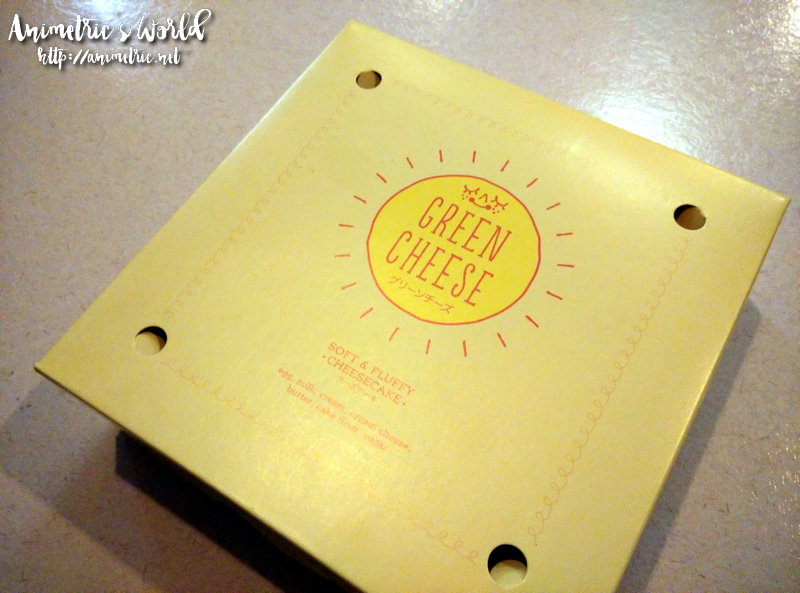 But when I first encountered a box which said Green Cheese, it was the first thing that came to mind. So anyway, last week I was invited by Century City Mall to their #LoveChristmas event. I like nice, quiet, and upscale (meaning posh and fully air-conditioned) places like Century City Mall and so I said yes. 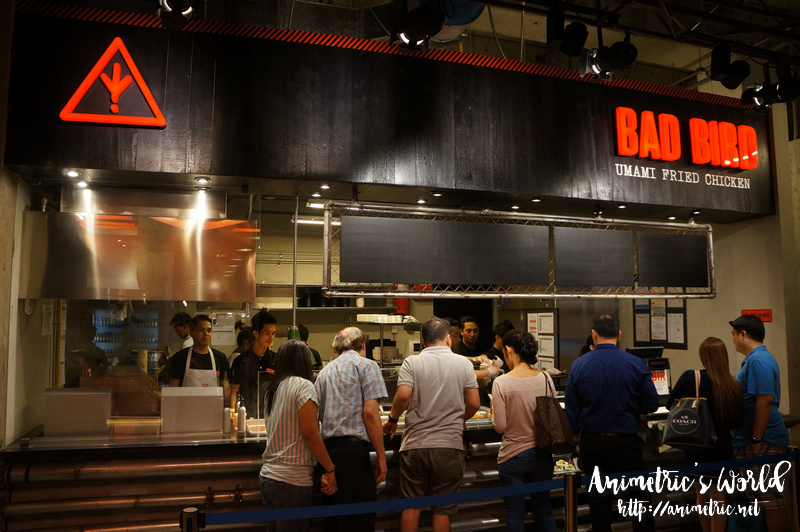 The first thing on our itinerary was dinner at Hole In The Wall, a classy food court on the 4th level. I’m getting ahead of things because I’ve decided to blog about dessert first! There are so many nice food stalls at Hole In The Wall that it’s not possible for me to post everything in one go. 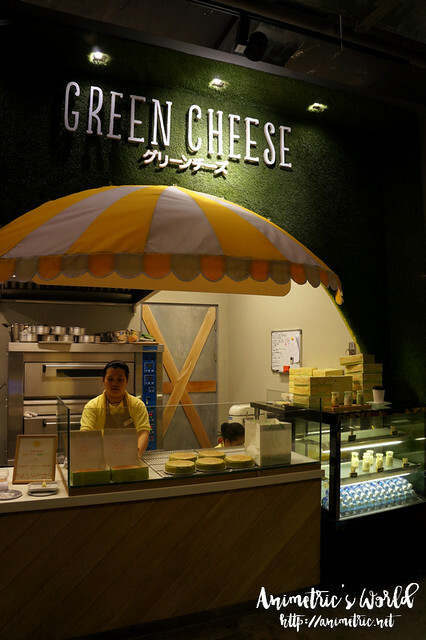 Green Cheese’s menu is comprised mainly of two things: milk pudding and cheesecake. I was practically bursting out of my pants because we tried so much food at the other stalls so I was unable to sample the milk pudding. 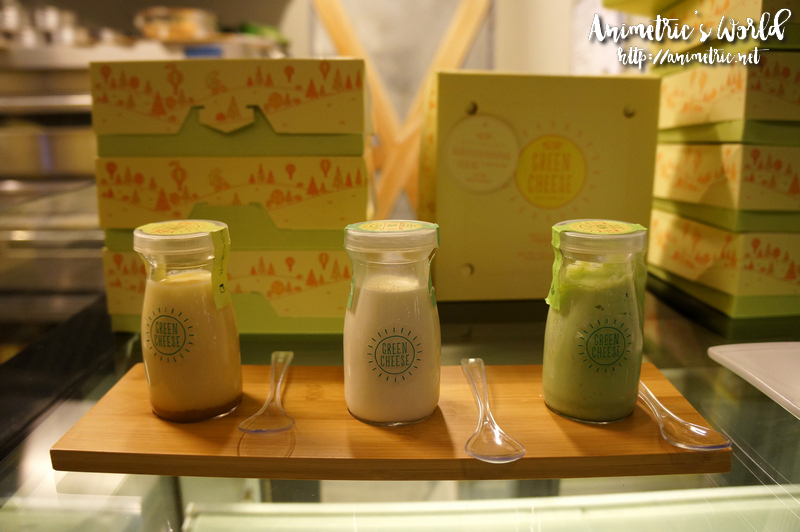 Anyhow, Green Cheese’s milk pudding comes in 3 flavors: Custard, Milk, and Matcha. A bottle costs P120. I did however take home a Japanese-style cheesecake. The Original variant costs P350 for a whole cake (pictured above). 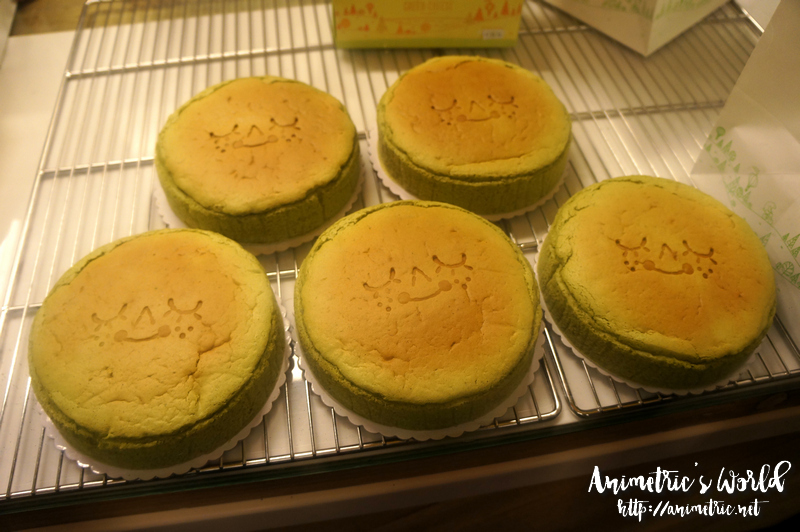 There’s also Matcha (Green Tea) Cheesecake which costs a bit more at P450. The cashier told us the Original variant is the bestseller. Anyhow I enjoyed the Green Cheese Original Cheesecake at home the next morning with a piping hot cup of coffee. 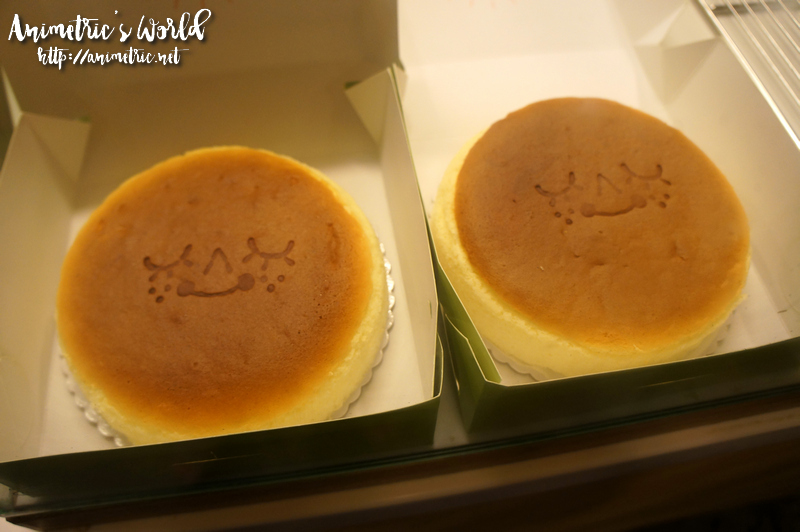 It’s described as the happiest cheesecake in the world… probably because there’s literally a smile on every cake, lol! 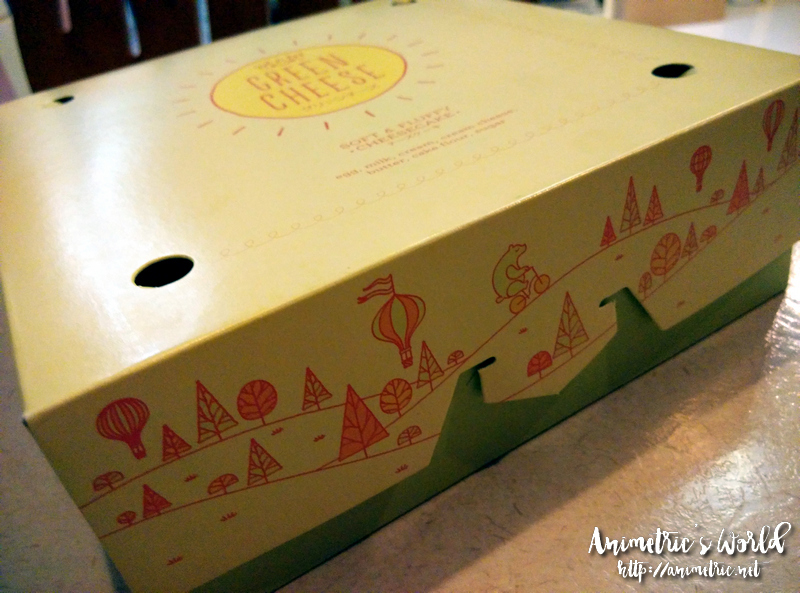 I love the cute box design which makes it perfect for gifting. In fact hubby and I plan to order a bunch of these to give to our friends this Christmas. 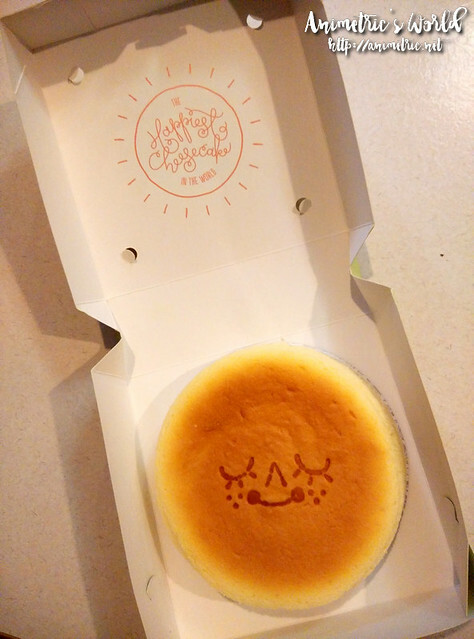 I can’t get over how cute this cheesecake is! 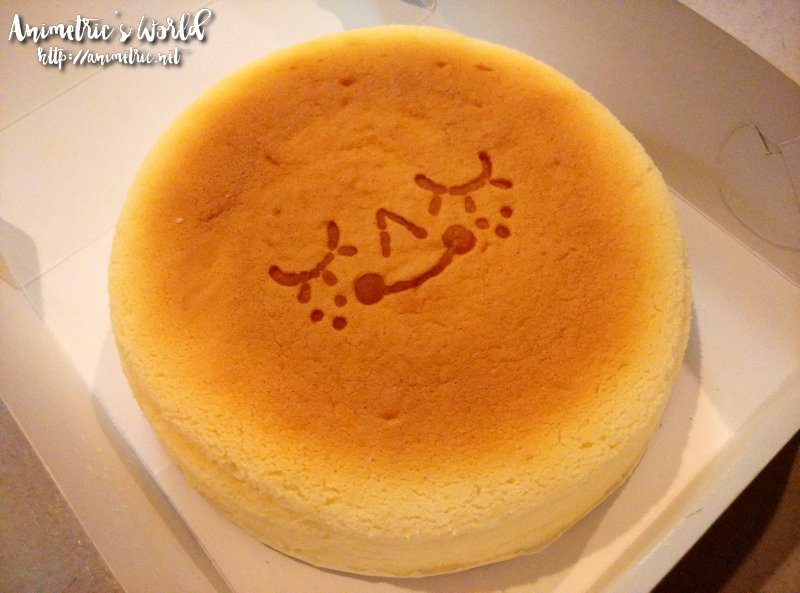 Since it’s Japanese-style cheesecake, it’s light and airy and NOT the creamy type with a graham crust at the bottom. I say either you like it or you don’t. Some have criticized it as not being real cheesecake. Some think it’s the best thing since sliced bread. But what do I think? I liked it. I liked it a lot. Hubby and son too. But then I’m not a fan of overly sweet cakes and pastries and so I appreciated this for its lightness in texture and subtle taste (I can liken it to an airy pound cake with a light touch of cheese) . It’s not creamy but I can taste the cream that was used to make it (am I making sense?). Since it’s melt-in-your-mouth delicate, having just one small slice (I cut this small cake into 8 slices at home) made me hanker for more. It’s very easy to devour one whole cake because the entire thing can fit onto my palms. For me, it’s best eaten chilled. 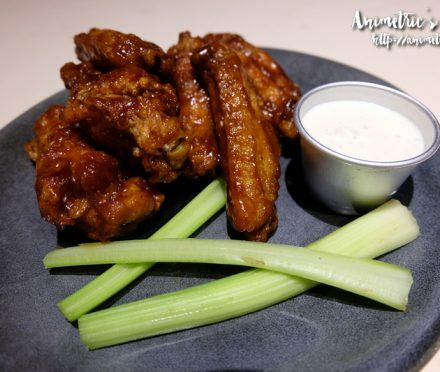 Buffalo Wild Wings in Estancia Mall! Take 10 years off with Pond’s Age Miracle Firm & Lift!